Register for the ROCC the Salem Pregnancy Care Center 5K today! Additional race information can be found at https://www.facebook.com/ROCC5k/. 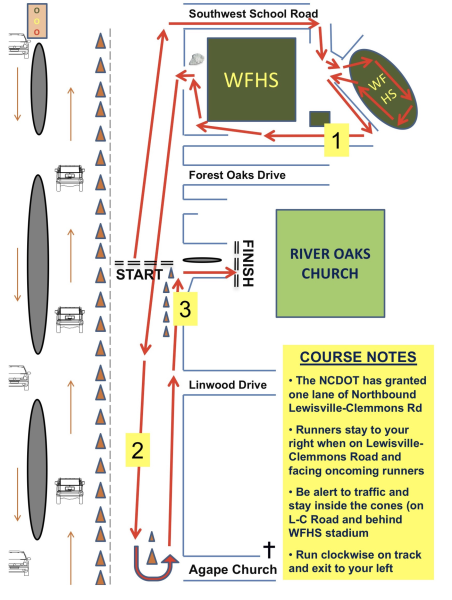 The 8th Annual ROCC 5K will once again lead runners along the mostly flat, fast, and straight course of Lewisville-Clemmons Road. The Annual ROCC (River Oaks Community Church) 5K has, year-over-year, been the perfect event for your first 5K or for setting a new personal record. 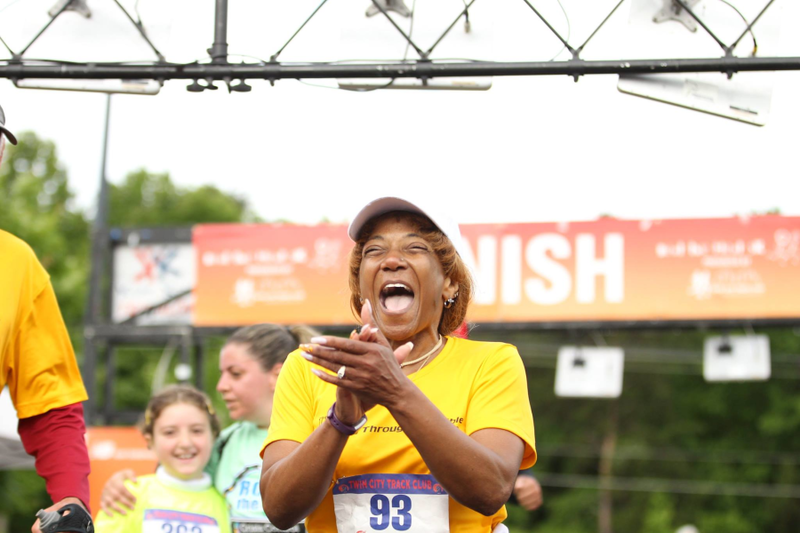 Enjoy the unique race offerings of FREE childcare, FREE race photos, and a FREE kid's fun zone, as you help to ROCC the 2019 local ministry beneficiary, Salem Pregnancy Care Center! Along with the 5K, the 8th Annual ROCC Kid’s Fun Run will once again be held at approximately 9:00 AM. Announcements will be made and opportunities provided for runners to retrieve children from childcare or the fun zone, and assemble along the north side of the church lot, near the office entrance. Kid’s run through the back property and along the ROCC prayer trail, returning to the front of the church parking lot and making their way through the 5K finish line chute. The distance is approximately 1/2 mile. No registration is required. At Fleet Feet Sports (located at 278 Harvey Street in Winston-Salem) until Wednesday, May 8th at 12:00 PM (Noon). At River Oaks Community Church RESOURCE CENTER on Sunday mornings through May 5th. *At Packet Pickup on Friday, May 10th from 5-7pm at River Oaks Community Church. * Race shirts are not guaranteed for registrations received after Thursday, May 9th. FREE CHILDCARE: Free childcare will be provided on Race Day from 7:15am-9am. Please indicate the ages of the children you plan to bring for childcare (ages infant through preschool). If both parents are participating, only show the total number of children under one registration to avoid double counting. Childcare registration forms must be filled out during Packet Pickup on Friday night, May 10th. FRIDAY NIGHT PRE-RACE SPAGHETTI DINNER: On Friday, May 10th, the ROCC Youth will be hosting the annual Youth Missions Spaghetti Dinner from 5-7pm in the gymnasium at River Oaks Community Church. The cost of each is dinner is $5 at the door. All dinner proceeds and donations will support the 2019 ROCC Youth summer mission trips to Shelby and Wilmington. During this time, race packets may be picked up and childcare registration forms can be completed in the coffee bar area.